Harbin Linen Group Co.Ltd. (Formerly the Harbin Linen Mill) was founded in 1950 and began running in 1952. The company has in its possession, 27712 spindles for spinning, 483 sets of different kinds of weaving machines and ten sets of dying and bleaching lines. The volume of the annual output is approximately 5500 tons of linen yarn and 12 million meters of linen fabric. Harbin Linen Group is the largest integrated production enterprise with spinning, weaving, bleaching and dying in China an all of Asia. 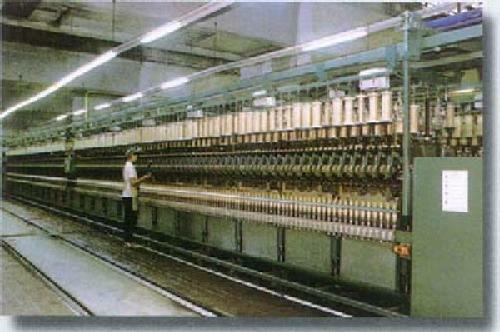 It is also the center of national grade linen processing technology with 14 series in nearly one thousand variety. These include Lanhua brand linen yarn; Double Crane linen fabric for garment; art linen fabric; yarn dyed linen fabric; household linen fabric; dyed and print linen fabric; furnishing linen fabric; linen garments; linen knit goods; linen drawn work and embroidery etc. These products are exported to over 80 countries and zones including the U.S.A., France, Italy and Japan etc. Double Crane linen fabric for garment earned prizes in the VI International Gold Medal for Quality Top Textiles and ready to wear; 9th and 10th Europe Award in Paris, 20th and 25th International Trophy for Quality in Madrid, Spain; Special Honor Prize Of No.83 at the International Inventor's show and was regconized with highest honors in the the Chinese textile industry. The quality in our products and our technology innovation are reinforced by the passion and skill of our staff. Our seasoned experience and professionalism is undoubtedly the company's most valuable resource. The company has held the ISO 9001-2000 certificate since 1998.